Note: This is a guest post by Saskia from Alaturka Turkey. Turkey is a unique country, situated between Europe, Asia, and the Middle East. The influence of all three can be seen throughout country – in the history, the culture, the architecture, the fashion and the food. Muslim Mosques sit alongside Christian churches and Catholic cathedrals, while ancient ruins of Greek, Roman, Ottoman, Hittite, Lycian civilizations and more can are scattered across all regions. Stunning beaches stretch across three seas while the interior is made up of rugged mountains and agricultural land. There are many Turkey tours available and many reasons to make Turkey your next summer holiday destination. It’s not all Shish Kebab! In fact, the Turkish palette combines the best of Central Asian, Middle Eastern and Eastern European cuisine. You can start your day with a Turkish Breakfast, best for sharing as it is traditionally a spread of olives, cheeses, cold meats, fresh white bread, egg, borek (a savory pastry), cucumber, tomatoes, honey, tahin, pekmez (made from grape molasses), fruit and black tea. Other traditional dishes include, Gozleme (Turkish Pancake), Kofte Durum (Spicy meatball wrap) or Cig Kofte Durum (for the Vegetarians), Dolma (stuffed vegetables), Yaprak Sarma (wrapped vine leaves stuffed with rice, pepper, dates and cinnamon), seafood is also popular in coastal regions. 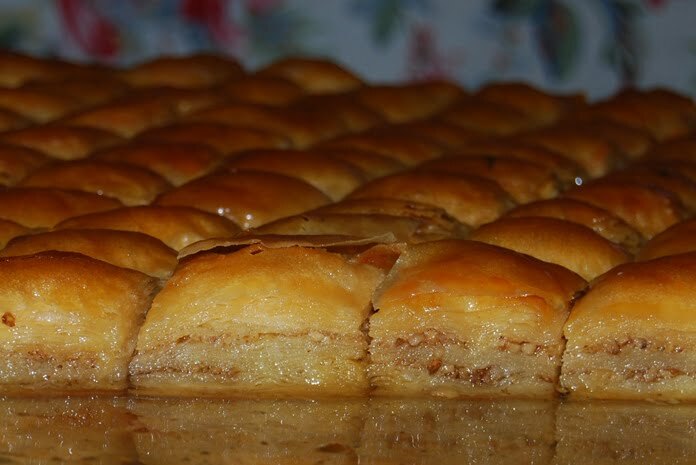 And don’t forget to try something sweet, baklava and halva are two of the most popular deserts. Turkey is an outdoor lover’s paradise all year round, the winter months are great from skiing and snowboarding while autumn and spring attract hikers and climbers and in the heat of the summer you can take to the sea for sailing and cruising. Turkey is one of the few countries to have such well-established hiking routes with 4 long distance waymarked trails as well as shorter cultural routes throughout the country. 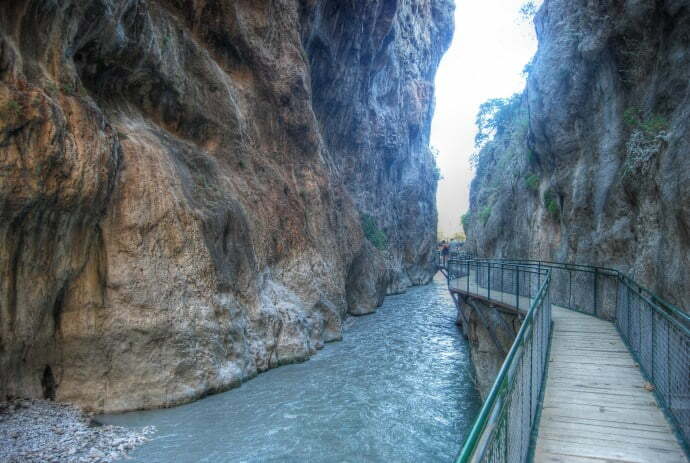 The most well-known is the Lycian way which continues for 500 kilometers along the scenic Turquoise coast. You can combine multi day hikes with gulet cruises and inland excursions to explore the region. From stylish shopping malls to handicraft stalls, farmers markets and legendary bazaars, Turkey is a haven for shoppers whether you’re looking for a new beach dress, fresh spices or a hand woven Turkish carpet. Weekly local markets spring up in most towns and sell a bit of everything, it’s a great opportunity to purchase fresh produce, fruits, vegetables, fish, fruit, nuts and homemade cheeses, jams and wines. 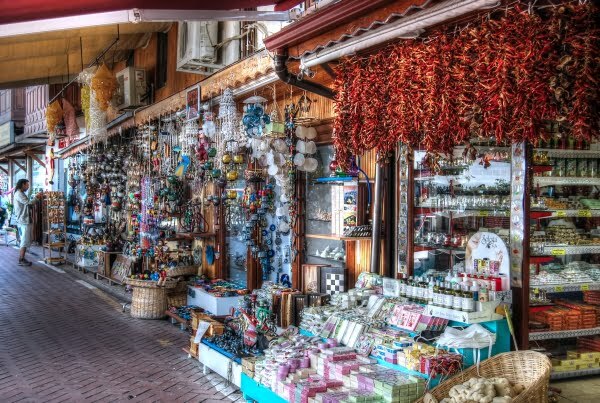 While in popular seaside towns like Fethiye and Antalya there are many boutique shops or souvenir markets located in the old town and close to the harbour. While Izmir, Turkey’s third largest city, is a perfect for shoppers, with 15 modern malls to choose from. You may want to get yourself an extra suitcase to take everything home with you! Over millennia Turkey has played host to the Hittites, Romans, Ancient Greeks, Early Christians, Lycians, Byzantines, Seljuks, Ottomans and many more civilization. It has been invaded and has been invaded and the evidence is strewn across the country. 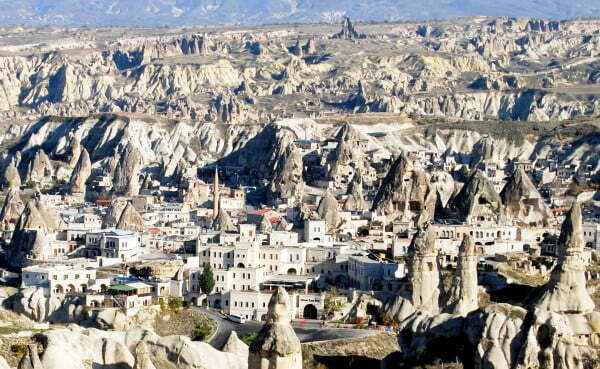 In Cappadocia, for example, you can find rock-hewn Christian churches with original frescoes at the Goreme Open Air Museum, and underground cities excavated into volcanic rock by Hittite settlers over 2500 years ago. The UNESCO world heritage accredited Pamukkale and Ephesus are also two of Turkey’s top historical sites. The south west coast of Turkey is also known as the Turquoise coast or the Turkish Riviera. The stunning stretch of coast line has attracted sailors for years and there are now a huge variety of cruise ship routes available from one-day trips to nearby islands, to multi day cruises calling in isolated bays, beautiful beaches, archeological sites, Lycian ruins, modern town and rural villages. One of the most popular Gulet cruises is a 4 day/3 night cruise between Fethiye and Olympos, its offers passengers the opportunity to Swim in the Blue Lagoon at Oludeniz, Paraglide from Baba Mountain, visit the Sunken City of Kekova, shop in the bustling harbour in Kas and explore Olympos, the ruined Lycian city at the foot a tree lined valley. A city split across two continents, connected by the Bosphorus bridge, Istanbul squeezes the globe into its city centre and offers interesting sights and there are many Turkey tours starting from Istanbul. In the central square, you can visit the two most famous mosques of the entire country; Sultanahmet (The Blue Mosque), with its 6 minarets and impressive dome of Iznik tiles, and Ayasofya (Hagia Sofia) the converted cathedral with unique architecture gives you a taste of ancient Constantinople. You could take a walk along the old city walls or board a ferry to visit Prince’s Island or Kadikoy a cosmopolitan district on the Asian side of Istanbul with new quirky cafes and bohemian clothing stores. The extensive Grand Bazaar spans between the main city road and Galata bridge, with anything and everything being sold on the crowded streets. Porters run from shop to shop delivering hour shaped glasses of black tea and traditionally dressed sellers offer tasters of delicious Turkish Delight. There are plenty of local eateries hidden inside this maze of colourful items. 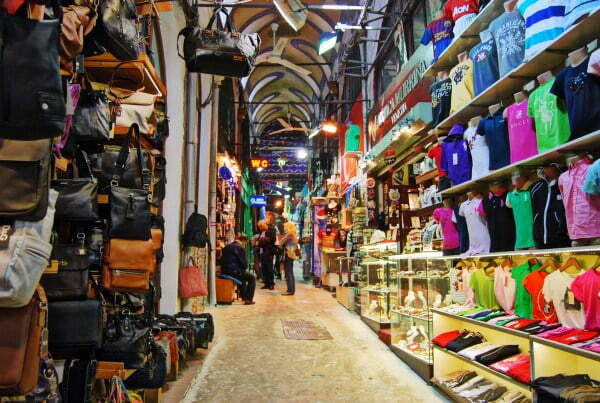 Aside from shopping Grand Bazaar is fantastic to just walk about, people watch and immerse yourself in Turkish culture.